Writing Our Story: Cirque Du Bebe! This past Saturday some of my BESTEST FRIENDS & FAMILY through me & Josse the most beautiful, fabulous baby shower ever! 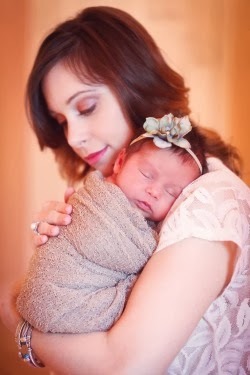 I am telling you this baby shower was so gorgeous it could be in a magazine! I seriously have the most talented & creative friends and family. I am beyond blessed to have such amazing people in my life! The 3 ring leaders of this baby shower were Amber Hall (one of my very best friends in the whole wide word), Lisette Summers (I absolutely adore her and her sweet family), and my mom (who is beyond incredible & goes over and beyond with everything she does). Now those weren't the only girls involved in planning this elaborate shower...Lauren Stack, Stacey Alcala, Yadis Alcala, Christina Hernandez, Krista Sanseverino, Becky McLennan, Kathie Harden, Emily Moore & Jen Spataro also made this BEAUTIFUL DAY happen! I was so blown away when I waked into the doors of Heritage Lake Club House. It was so bright & colorful! I felt like I walked into a "Fancy Nancy CIRCUS" lol There were helium balloon-flowers and lanterns hanging from every where. There were tons of hot pink, black, orange and yellow feathers & gorgeous flowers on all of the tables! It was amazing how each table was decorated so unique & differently. There was so much detail to see I feel like I missed half of it. The table linens and chair covers looked so elegant, I absolutely loved all the hot pink touches that were everywhere. The CAKE was the most beautiful cake I had ever seen. A friend of mine Kylie New makes cakes and she custom designed this cake to match the "Circus Du Bebe" theme of the shower!!! It was so amazing! (I liked it more than my wedding cake) lol It had feathers coming out of the top and it was hot pink, orange & black. I loved how she monogrammed Josselyn's initials on the top tier. It was the perfect cake. The bonus was that it was fun-fetti in the middle (my favorite) and it tasted absolutely delicious! The FOOD was delicious as well! I must brag on one of my girlfriends Becky who made the most amazing homemade hummus :) It was all so yummy and displayed so elegantly. The REFRESHMENT TABLE was so pretty and the drinks themselves tasted amazing! There was a delicious peach tea and a wonderful sparkling fruit punch that all of the guests loved. I also loved how the adorable colorful lanterns were hanging right above the drink area. Once again so detailed and beautiful. The GAMES were an absolute blast! We played a fun celebrity baby game, then all the girls had to guess how many tickets would go around my belly (Ummm pretty much everyone OVER estimated) I am slightly insulted lol! Then we played the game with cute pink, orange and black mardi gras beads and no one was allowed to say "baby or "girl. Everyone was also given the most adorable Fancy Nancy Scratcher and the person who had a tiara on their scratcher won! Lastly, the girls played baby bingo as I opened all of the gifts. On the bottom of each gift was a word so before I opened each present I called out the word. Like the old African saying goes "It takes a village to raise a child" & what an incredible, supportive village we have been blessed with in our life!" P.S Below is a very special picture of my Daddy & Me. Even though my dad is now in heaven it was really special to have his memory there with me at the baby shower. I know he would have been the most incredible grandpa ever! 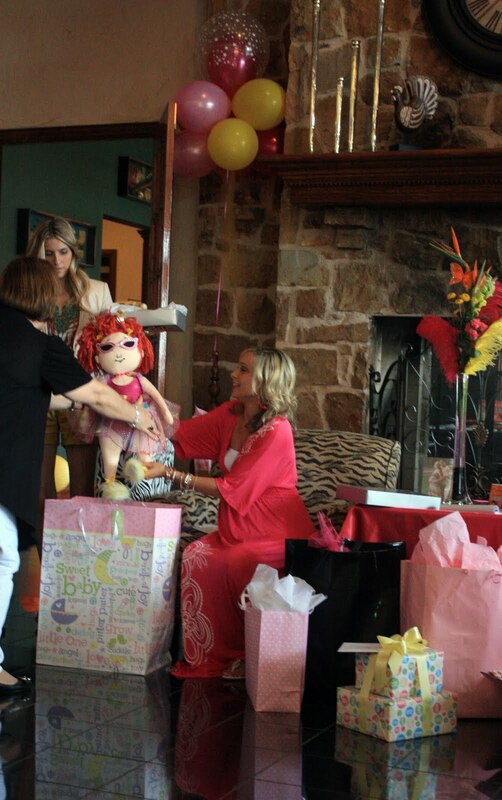 *I want to thank my sweet friend Emily Moore who took these amazing pictures for me of the beautiful shower!